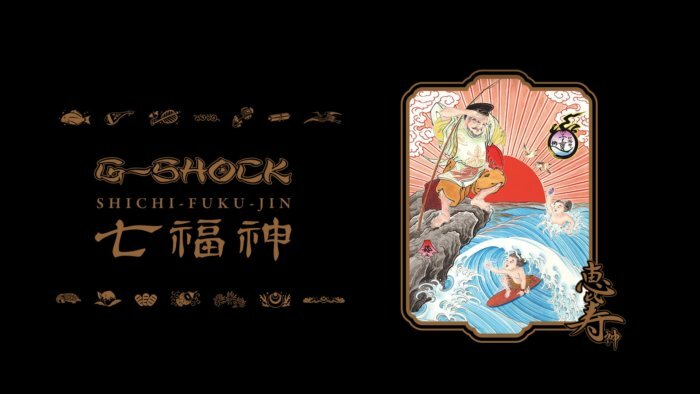 Casio announced an unexpected limited edition series to be released in Japan and Asia: The G-Shock Seven Lucky Gods Series (or Shichi-Fuku-Jin Series). Inspired by the Seven Gods of Fortune originating from Indian, Chinese, and Japanese religion and mythology, the series consists of seven watches (including one Baby-G model) that will be rolled out over six months from October 2018 to March 2019. The watches and artwork were designed by painter Toshikazu Nozaka. The theme and release schedule of this collection are reminiscent of Jahan Loh’s Celestial Guardian Series that was released in China, Singapore, and Thailand in the first half of 2018. 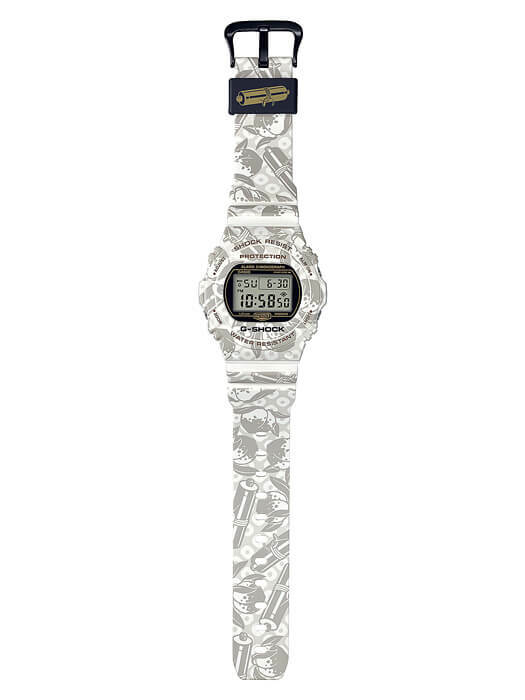 The watches feature exclusive designs inspired by traditional Japanese art. 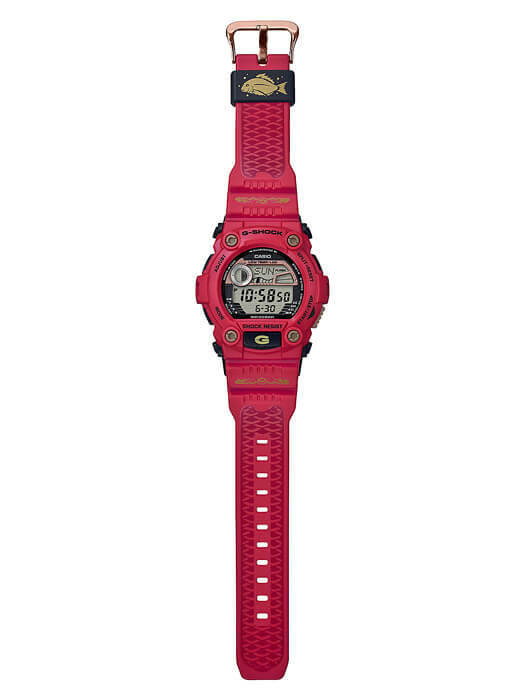 In addition to unique bezels, bands, and faces, the watches also feature customized strap keepers and EL backlights. 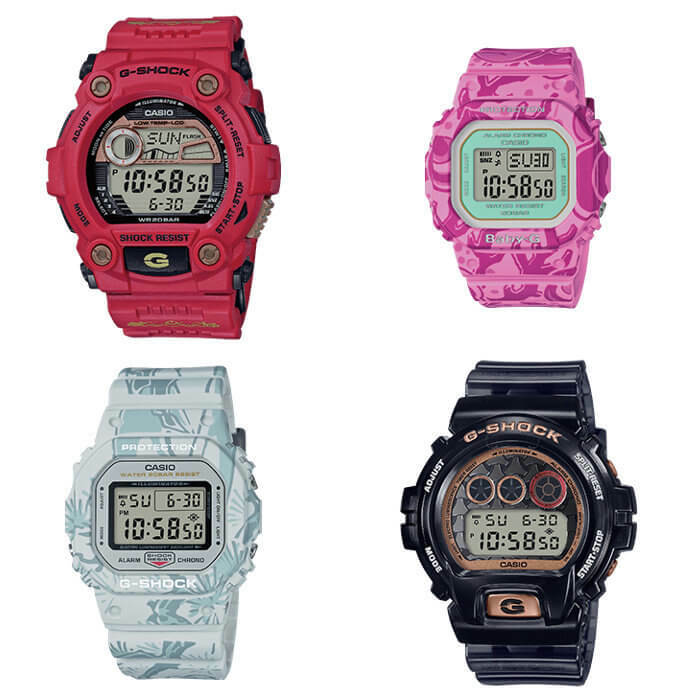 The EL backlight of each model depicts a stylized letter or hyphen that spells out “G-SHOCK” when the collection is complete. Each watch comes in custom packaging with a motif based on its corresponding god. The first watch to be released in October 2018 is the G-7900SLG-4 based on Ebisu. 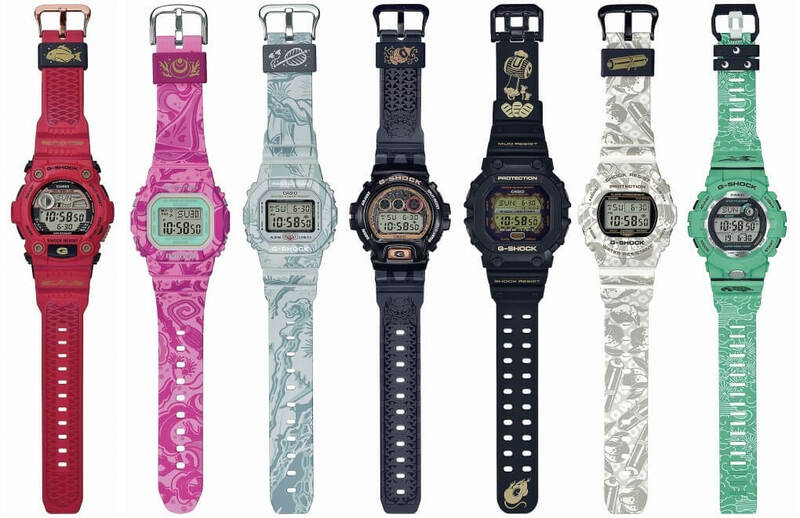 Other watches coming soon include the BGD-560SLG-4 (Benzaiten), DW-5600SLG-7 (Hotei), and DW-6900SLG-1 (Bishamonten). The last three models have also been revealed and appear to be a GX-56 model (Daikokuten), a DW-5700 model (Jurōjin), and a GBD-800 model (Fukurokujyu). 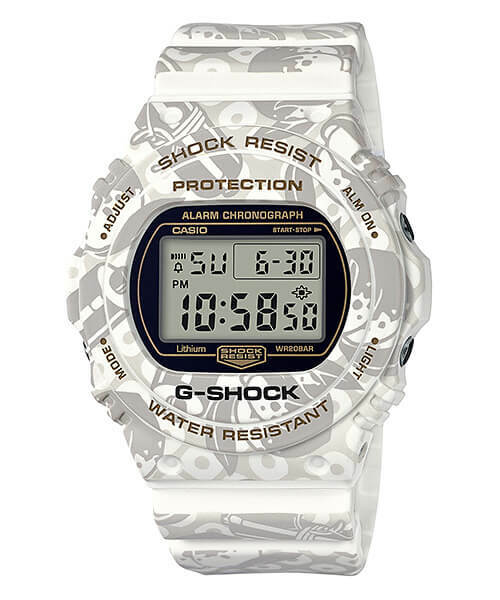 For more information visit world.g-shock.com and g-shock.jp. This page will be updated as more models are released. 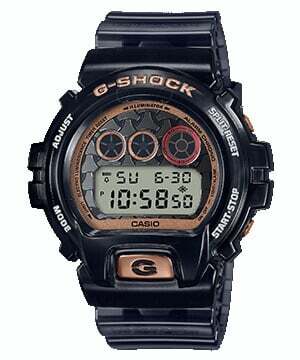 Update: Casio America will be selling the G7900SLG-4 (MSRP $130 USD), BGD560SLG-4 ($120), DW5600SLG-7 ($150), and DW6900SLG-1 ($170) at gshock.com with a limit of one per household. October 2018. Inspired by Ebisu, god of prosperity and wealth. 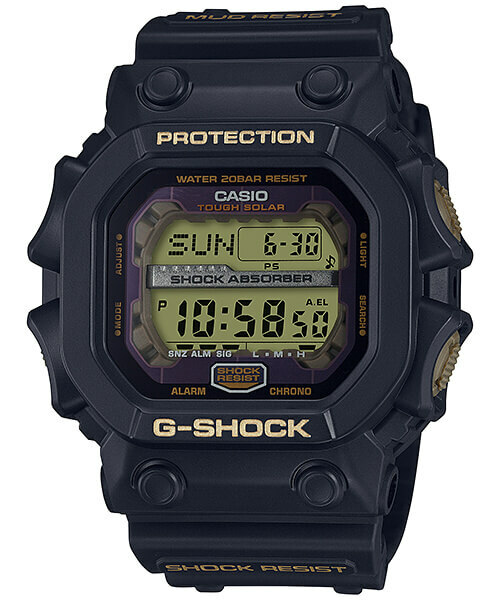 October 2018 Japan release is G-7900SLG-4JR with a list price of ¥15,500 JPY. Inspired by Benzaiten, the only female Fukujin and goddess of talent, beauty, and music. 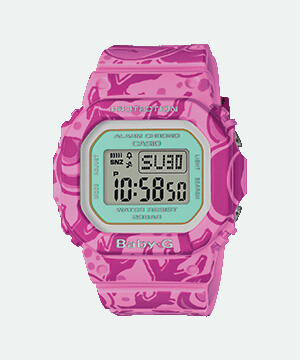 November 2018 Japan release is BGD-560SLG-4JR with a list price of ¥14,000 JPY. Inspired by Hotei, god of fortune, guardian of the children, patron of diviners and barmen, and also the god of popularity. Hotei is also known as Budai, Laughing Buddha, and Happy Buddha. 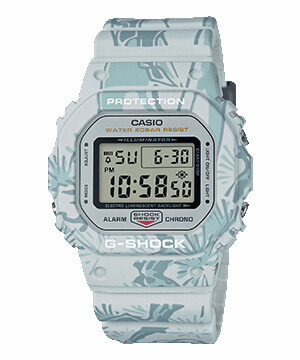 November 2018 Japan release is DW-5600SLG-7JR with a list price of ¥16,500 JPY. Inspired by Bishamonten, god of fortune in war and battles. 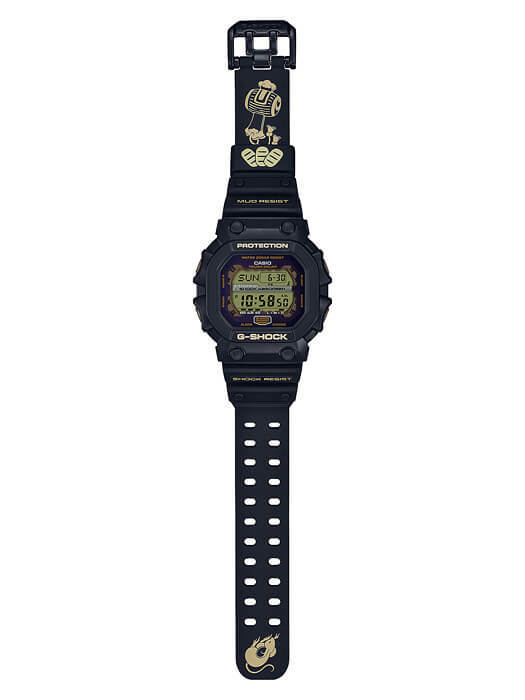 December 2018 Japan release is DW-6900SLG-1JR with a list price of ¥18,000 JPY. Inspired by Daikokuten, god of commerce and prosperity. January 2019 Japan release is GX-56SLG-1JR with a list price of ¥23,000 JPY. Inspired by Jurōjin, god of the elderly and longevity. 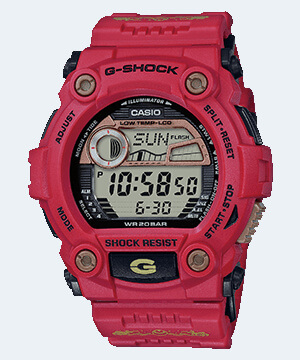 February 2019 Japan release is DW-5700SLG-7JR with a list price of ¥17,500 JPY. Inspired by Fukurokujyu, god of wisdom, luck, longevity, wealth, and happiness. March 2019 Japan release is GBD-8000SLG-3JR with a list price of ¥18,500 JPY. How can you cop these in Europe? 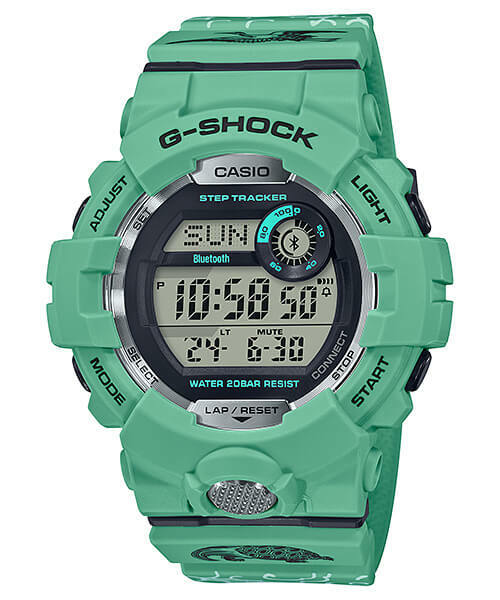 They probably won’t be released outside of Asia, but it’s possible that G-Shock London (on Carnaby Street) and the G-Shock Soho Store in New York might get some of them to sell as they did with the Celestial Guardian Series. Does it mean i cant get these unless im in uk or us or asia? Would love to get that gx-56. Yes, unless you can find somewhere to order it online.